Thinking about attending one of our Weekend services? Whether you’ve been going to church for years – or this is your first time – there’s a place for you to get connected at Mariners Church. At Mariners, we feel that it’s OUR responsibility to “clear the way” for you to come to church. We want you to be able to experience the great music, encouraging messages, friendly people and the enjoyable come-as-you-are casual atmosphere that are a part of Mariners. And we know that your first time at a church, any church, brings up some questions. How do I get there? What’s available for my kids? What should I expect in church? Spend some time on our site getting to know us. After checking us out here we invite you to come and join us, celebrate with us during our weekend gathering services, go deeper in a LifeGroup, and if you have children, set them up to grow in their faith in our dynamic children’s program. 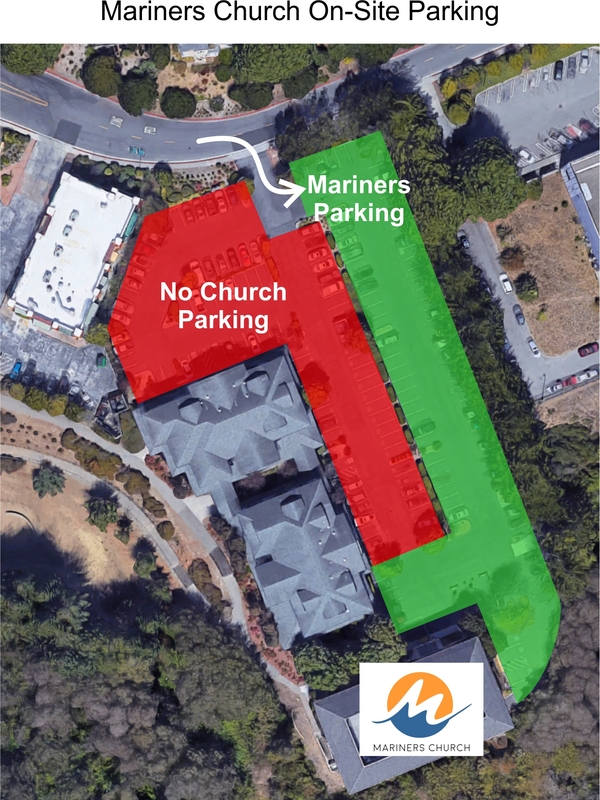 We look forward to meeting you and invite you to make Mariners your church. Our Weekend Gatherings are simple in form: centered on God’s grace and driven by God’s word. From singing songs, to praying to God, to learning from God’s Word…we focus on what matters most in this life. We are a great place for someone who is seeking, skeptical, or curious. Doubt is not the absence of faith, it is a part of the substance of it. We all have questions – and you will find a safe space to explore, ask, and have those questions answered. Our prayer is you will find a safe space to learn about, explore, and express a growing love for God through His Son, Jesus Christ. We welcome all people with open arms. Whether this is your first time to step foot in a Church or you’ve been a part of Christian community your whole life – you will be welcomed here with a smile, friendly handshake, or even a hug (if you want one!). We are an informal and friendly church who accepts people as they are. There is no need to dress up unless it makes you feel more comfortable. From our weekend gatherings to our LifeGroups, we believe the journey to know God is intended to experienced with others. Of course we don’t expect you to volunteer the moment you walk in the door. But look around as you enter and realize that a lot of people are committed to making Mariners the type of church that welcomes you and our community. As you begin to feel at home, there is a place for you to use your abilities in ways that make a difference as well. We believe that Children are not just the future of the Church, they ARE the Church. From K to 12 we offer programs tailor made for whatever age your young ones are. Pouring into the next generation(s) is something we are wholeheartedly passionate about. This is not childcare – this is a specific Church gathering for our young people. Our preschool and children’s ministry uses a state-of-art electronic check-in and security system. After you register your children our team will be happy to help you find their room. Every Wednesday we have a weekly gathering of middle school and high school students. It’s an opportunity for us to have fun, worship God, and discuss the Scriptures together. From the North: Go south on Highway 1 to Highway 92. Make a left at the light and proceed to the next intersection, Main Street. Turn right onto Main and then left at the first stop, Stone Pine Road, and then right into the marked parking lot. From the South: Go north on Highway 1 to Highway 92. Make a right at the light and proceed to the next intersection, Main Street. Turn right onto Main and then left at the first stop, Stone Pine Road, and then right into the marked parking lot. From the East: Enter Half Moon Bay from Highway 92. Make a left turn on Main Street and then left at the first stop, Stone Pine Road, and then right into the marked parking lot. If our lot is full you may find additional parking in various lots around the area.